Restorer Ultimate represents a new generation of data recovery software to replace the well-known, award-winning Restorer2000. An easy-to-use wizard-oriented interface, extensive file search capabilities, graphical file structure representation, file preview to estimate recovery chances, variety of places to store recovered files all combine to make this software number one choice for data recovery professionals as well as for home users. Data Recovery and Undelete Software for FAT/NTFS/exFAT/ExtFS/UFS and HFS. ...... preview to estimate recovery chances, variety of places to store recovered files all combine to make this software number one choice for data recovery professionals as well as for home and small office users. Restorer Ultimate PRO version also includes support for RAID reconstruction and data recovery, no matter how complex the RAID layout, as well as raw file recovery (file search for their signatures), support for Macintosh and Linux/Unix file systems, an advanced text/hexadecimal editor, and much more to solve virtually any file and data recovery task. 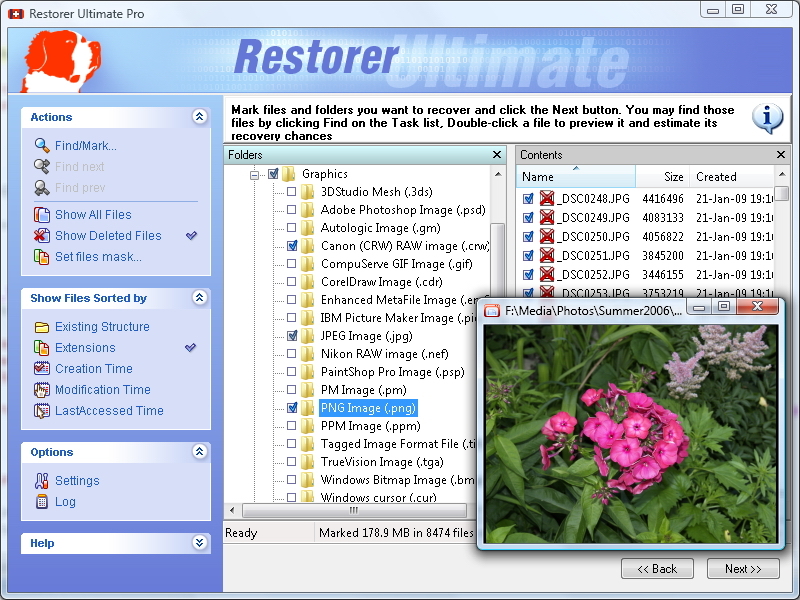 The Network version can connect to a remote computer, open and scan its hard drives, partitions, or their parts and recover files from a remote computer much as Restorer Ultimate can for a local device. Restorer 6.x works with arbitrary RAID6 and supports exFAT. NTFS parsing algorithm was optimized as well. This desktop theme is designed for all CS fans. Qweas is providing links to Restorer Ultimate 6.0 as a courtesy, and makes no representations regarding Restorer Ultimate or any other applications or any information related thereto. Any questions, complaints or claims regarding this application Restorer Ultimate 6.0 must be directed to the appropriate software vendor. You may click the publisher link of Restorer Ultimate on the top of this page to get more details about the vendor.